Everyone knows about Moët & Chandon, or Moët, which is a French fine winery and co-owner of the luxury goods company LVMH Moët Hennessy Louis Vuitton SE. Moët et Chandon is one of the world’s largest champagne producers and a famous champagne house. 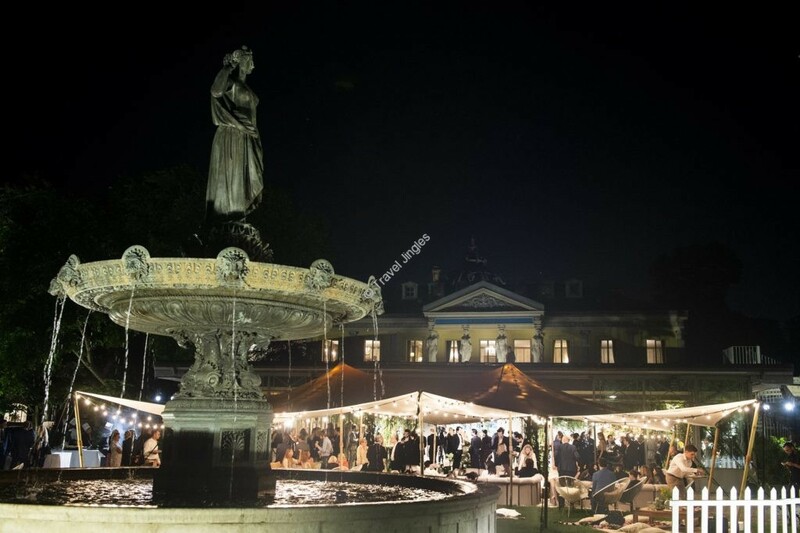 Moët & Chandon celebrated global brand ambassador Roger Federer’s 20-year tennis career in the gardens of Yannick Alléno’s Pavillon Ledoyen in Paris recently. The French champagne House honoured the international champion unveiling “Greatness Since 1998,” a new exclusive limited edition magnum-sized bottle expressing the generosity of the Maison in support of its ambassador’s charitable mission. The house is proud to lend its support to the Roger Federer Foundation, a charitable organization founded in 2003 by the Swiss tennis player whose benevolent mission is to improve the lives of underprivileged youth through education in six countries in Southern Africa and Switzerland. 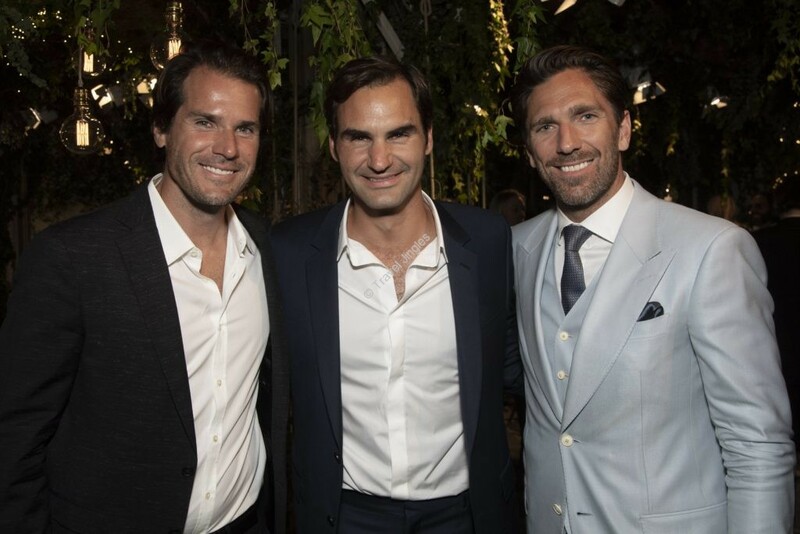 There were many known people like Tennis champions Stefan Edberg and Tommy Haas, ice hockey goaltender Henrik Lundqvist, rugby star Dan Carter, style icon Virgil Abloh, fashion photographer Giampaolo Sgura who raised a glass of Moët & Chandon Grand Vintage Collection 1998 in recognition of Roger Federer’s two decades of excellence, elegance, and altruistic engagement. Moët & Chandon’s “Greatness Since 1998” was specifically created to pay tribute to Roger Federer. The magnum bottle is wrapped in a black leather band individually crafted by French artisans to resemble the grip on Federer’s racket. It is quite interesting to see the tennis legend’s signature hand-embossed on this wrap that unravels to reveal a second hand-written signature on the label. There is also a hot-stamped in gold on the inside of the bottle’s tie, an iconic part of the House label, figures Roger Federer’s message: “Dreams do come true,” the same words he chose to express his joy when last February he became, once again, the world’s No. 1 tennis player. This brut champagne is crafted exclusively from grapes harvested in 1998, the same year that Roger Federer launched his brilliant professional career. 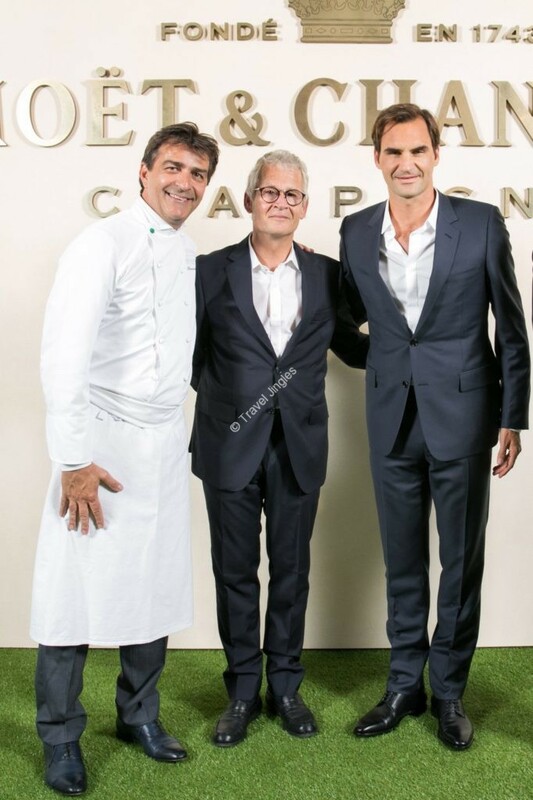 “Moët & Chandon is honored to join Roger Federer in celebrating this extraordinary milestone, his professional and personal accomplishments, and will donate all profits from the sale of ‘Greatness Since 1998’ to the Roger Federer Foundation,” says Stéphane Baschiera, President and CEO of Moët & Chandon. 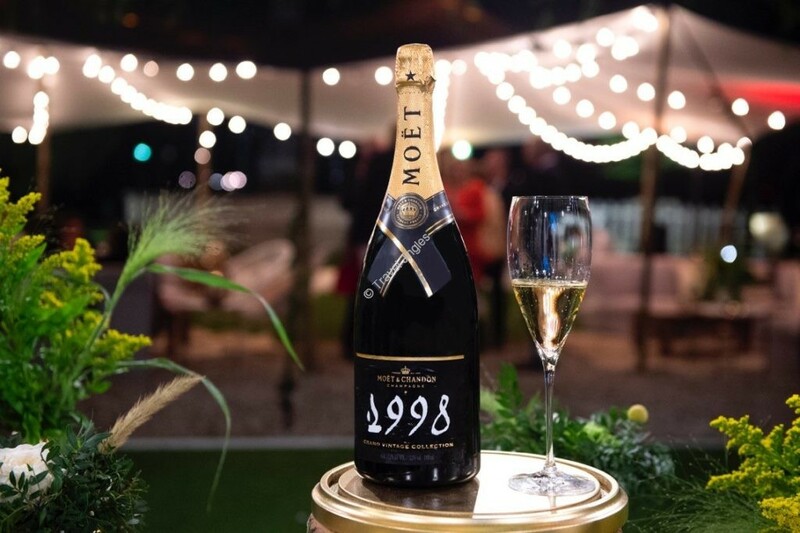 The exclusive Moët & Chandon “Greatness Since 1998” magnums are available only through the Moët Hennessy Private Boutique and the lifestyle retail House.